I’m a Rabbinical Student, Sociologist, Personal Trainer, Food Activist, Weight Lifter, Vegan, Writer, Public Speaker & I’m Queer. 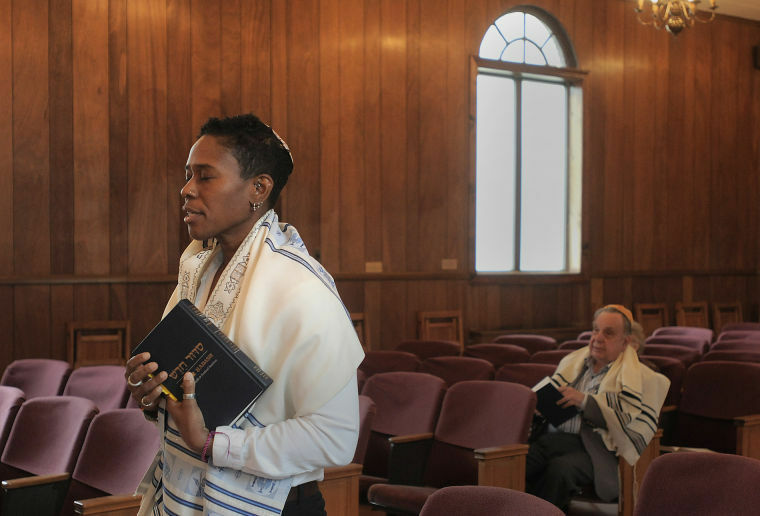 I am the first African-American student accepted into the Reconstructionist Rabbinical College Rabbinical Program and I really want to make the world a better place and make the Jewish world a better place for Jews of Color, queer Jews and all Jews. I am currently looking for donations to help fund the upcoming school year of 2014-2015. If you would like to help me please visit my gofundme page. If you do not want to use this method, but prefer paypal, click on the link on the right upper corner of this blog page to donate via PAYPAL. Yours is a fascinating story and journey. I just read your post about working with the elderly. I learned a lot about this when my mother was in a retirement community until her death. I loved talking to the folks that lived there, their stories were amazing. I am curious to know how you found your way to Judaism. And Mazel Tov on your acceptance to Rabbinical School. PS Are you going to the Reconstructionist Rabbinical School in Philly? Hi Sandra, I’m Jim Berger, son of Jean Berger, a resident at Meadowood, and part of your Shabbat group there. Jean died yesterday, at Einstein Montgomery. We’re going to have a small, family funeral on Friday and I was wondering if you might do the ceremony. I hope you get this. I’m trying to reach you also via the Seminary– left a message with Amber Powers. My cell is 203-464-1901. email: james.berger321@gmail.com Thanks.